The ‘Star Trek’ Sequel Now Has A Title!!! Paramount Pictures has chosen a title for the ‘Star Trek’ sequel. It will be called ‘Star Trek Into Darkness’ and will be released May 17, 2013. That’s not too far off. I can’t wait. JJ Abrams is back in the director’s chair with Chris Pine back as Captain Kirk, plus the rest of the cast from the original. I like this title. Things are pretty sealed tight on this project, so not much is known yet, however it is rumored that Khan will be the villain and that Benedict Cumberbatch will play that iconic role. No signs of tribbles yet. I’m hoping to see a trailer for the new film by year’s end. Fernando’s ‘Star Trek Into Darkness’ Review!!! 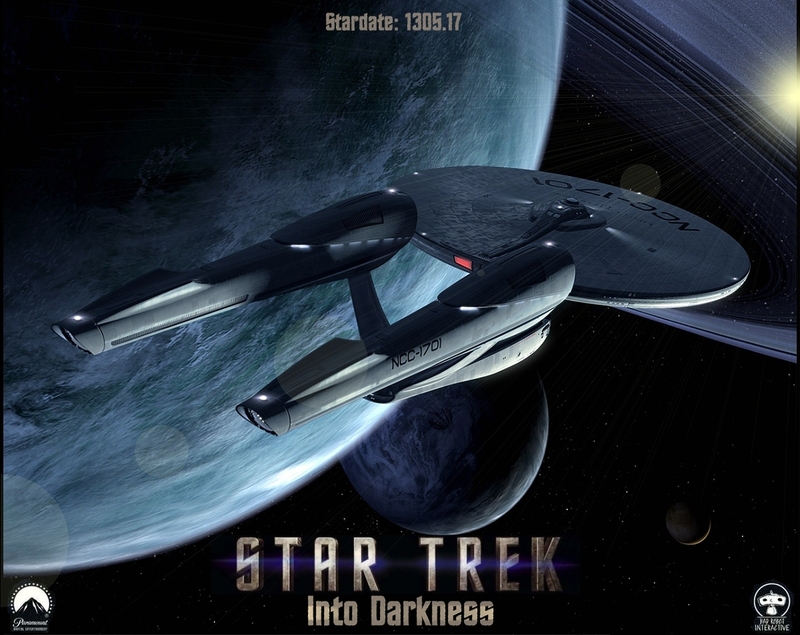 Film Review: ‘Star Trek Into Darkness’!!! Check Out the ‘Star Trek Into Darkness’ Poster!!! This entry was posted on Monday, September 10th, 2012 at 3:34 pm	and is filed under Film, News. You can follow any responses to this entry through the RSS 2.0 feed. You can skip to the end and leave a response. Pinging is currently not allowed. Couldn’t be any worse than the last one. The alternate universe Constitution class from the mid 23rd century does look nice. You didn’t enjoy the last Star Trek film? Why? « ‘E.T.’ Will Return To The Big Screen!! !